The West Bengal government is desperate to keep Infosys and Wipro from going away from the state. In an attempt to retain Wipro and Infosys in West Bengal, the state government on Thursday offered 45 acres each to the two IT giants for setting up their units. 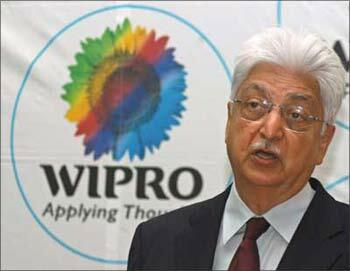 "We are ready to give 45 acre each to Wipro and Infosys. 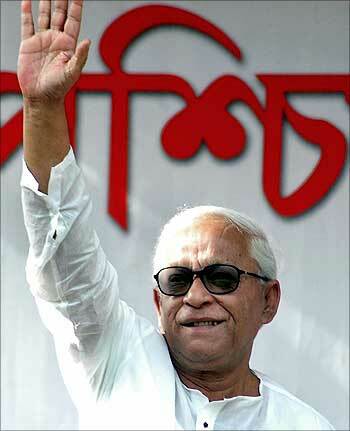 They can construct new units at Rajarhat," Chief Minister Buddhadeb Bhattacharjee told a press conference at the CPI(M) headquarters in Kolkata. "The two IT firms will be contacted by tomorrow (Friday)," Bhattacharjee said, 10 days after scrapping of the IT township project at Rajarhat following an alleged land scam. Asked whether the two companies would accept the offer, the chief minister said, "Definitely. There have been preliminary talks with them." "This is the only alternative for us to bring the two IT majors in our state," he said, adding that the two companies could together create 16,000 job opportunities in two to three years. On whether the land being offered was leased, the Left leader said, "All land is leased land." Bhattacharjee said the two companies could take possession of the land at Rajarhat which has all the required infrastructure. The land price, he said, would be determined after discussing it with the IT majors. On the scrapped IT township project, he said the government had identified plots near the Vedic Village resort at Rajarhat. "We had negotiated with a company that they will take over land and we will buy it from them. But something unfortunate happened. Criminal groups and muscle men operated there and we thought it was not morally correct to take such land," the chief minister said. On Wednesday, the chief minister, while addressing meeting of the ruling Left Front in Kolkata, had said: "The government wants to see that the two companies did business in the state." Earlier on Wedneseday, Left Front chairman Biman Bose had told reporters that the state government had not rejected the proposals of Wipro and Infosys for setting up units near the metropolis. Bhattacharjee told the meeting that the government had only scrapped the IT park which was to come up near the controversial Vedic Village resort, Bose said. In April 2008, the state government had inked two MoUs -- one each with Infosys and Wipro -- for setting up IT facilities, for which they had sought 90 acre each. 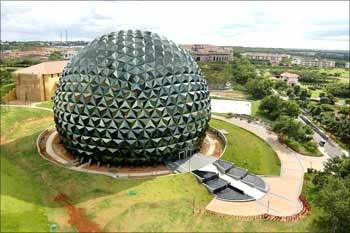 While for Infosys it would have been the first project, Wipro was planning a second one. A company had been floated for setting up an IT park near Vedic Village which now stood scrapped. IT industry body Nasscom had suggested that the government could offer land from the Rajarhat township in neighbouring North 24 Parganas reducing focus on real estate. "The government has enough land. It has land in Rajarhat township, but it is meant for real estate. The government has to choose whether it wants employment by offering land to IT companies or just make buildings," Nasscom Eastern Regional Council chairman V V R Babu had told reporters. IT companies require large space for training and for infrastructural facilities, Nasscom president Som Mittal had said. Reacting to the Left Front chairman's statement, the state unit of Congress said, "Biman Bose is the head of the Left Front and state CPI(M) and not the government. We want a statement publicly from the chief minister without further delay." "Congress is not bothered what Buddhadeb Bhattacharjee tells the Left Front and his party," WBPCC vice president Manas Bhuniya said. Bhuniya claimed Minister for Housing Gautam Deb, Minister for Information Technology Debesh Das and Land and Land Reforms Minister Rezzak Mollah were 'issuing contradictory statements, responsible for the chaos in the IT sector'. The Congress, he said, wanted that the state government ensure that these two companies stayed on in West Bengal in the interest of future generations. Meanwhile, the West Bengal Youth Congress has begun a mass signature campaign demanding CBI enquiry into the Vedic Village episode and to press for keeping Infosys and Wipro in West Bengal. "We are aiming to collect 1 crore (10 million) signatures from across the state and submit it to Governor Gopal Krishna Gandhi," WBYC president Amitava Chakraborty said.